Meg’s and Nellie’s cottages really are a fantastic base from which to discover and explore the whole of the region. Just on the border of Scotland and England, the cottages are in a prime location overlooking the River Tweed, which for centuries has been the geographic border frontier. As a once formidable barrier, the Tweed today offers guests of the cottages the opportunity to enjoy some world-class trout and salmon fishing. The Salmon fishing season starts in early February and continues through the spring and summer until the end of November. 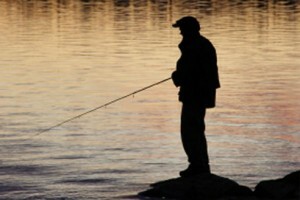 The best fishing with the largest catches is to be had in September, and permits must be purchased for the Tweed and other local rivers. Trout fishing permits can be purchased from Clark’s Newsagents in Coldstream, For more information on local fishing and permits go to fishpal.com. 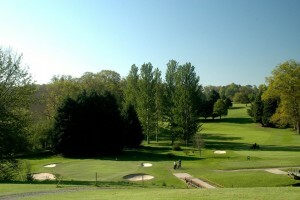 Golf enthusiasts can play a round or two at the local golf course, which is located at the Hirsel (www.hirselgc.co.uk). The club has a quality pro shop and great food on offer in the clubhouse. 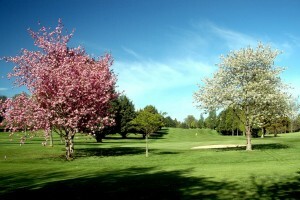 Use your Freedom of the Fairways pass on this and many local courses between the 1st of April and the 31st of October. For further details of participating courses, and conditions please go to the Visit Scottish Borders website. Teaming with paths and trails through river valleys, mature forests, over the Lammermuir Hills, or around the North Northumberland Heritage coastline at Berwick-upon-Tweed, there’s plenty to see all year round. Meg’s and Nellie’s are near the valleys of Teviotdale and Liddesdale which provide superb walking and magnificent views. Visit the Visit Scottish Borders dedicated walking page for more walking information in the Scottish Borders. With miles and miles of unspoilt terrain just waiting for you, this is an ideal location for cyclist and mountain bike fanatics. Whether you like to cycle on the quiet country roads or prefer something a bit more challenging, there really is something for every level of cyclist here, and the scenery’s not bad either! Check the visitscotland.com website, click on Scotland’s Regions then the Scottish Borders for the dedicated cycling webpage giving more information on mountain biking, off-roading and road cycling in the area. It’s a little known fact that there are more horses per head of population in the Borders region than anywhere else in the country. Naturally there are historic reasons for this, such as the fractious nature of the England Scotland border; or simply that riding a horse was until a mere century ago, the best way to travel around; and some would say it still is. The wild and windswept North Northumberland region gives way to the gentle hills and mellow forests of the Scottish Borders, both of which are best viewed from the back of a happy horse. The history and magic of the borders comes to life in the Borders Festival and Common Ridings. For more information go to the visitscotland.com website, click on Scotland’s Regions then the Scottish Borders and see the dedicated horse riding page. If you are visiting Fireburnmill in August, you can get involved with Coldstream Civic week, this takes place the first full week in August. Each year the ‘ride-outs’ for Coldstream Civic Week are to Norham, Birgham, Flodden and Leitholm. For more information see the Coldstream Civic week website (www.coldstreamcivicweek.com). You can take in the countryside and walk from Fireburn Mill along the River Tweed to The Hirsel, where you can stop for refreshments from the Cafe and then through Dundock wood with wonderful Rhododendron’s and Azalae’s and then back to the cottages, this walk in fantastic and is roughly around 3/4 miles. History buffs will enjoy the castles and grand country estates in the region including Mellerstain House, Manderston House, Floors Castle, and the home of Lord Armstrong at Cragside. A great stay as usual. Excellent views and a great time we had by all with 2 Osprey sightings! Great place, great people, had a great time. Thanks you. Lovely cottage in a lovely place. We had a wonderful time. Most restful. Lovely cottage, Enjoyed the night sky. Absolutely fab as always. My 9th & 10th visit. Perfect place. As always we love this house. Area, people & views. See you again. Great Cottage, excellent week. Dog’s paradise. Thankyou. Here for the fishing, so handy. Lovely cottage. Enjoyed a comfortable stay. A lovely break away from the city. Good to be able to see the stars & meteor showers. Lovely comfortable cottage, good weather, great week.